retailer to contact you for a free measure and quote. to help you pick which product is right for you. allow you to create your perfect Designflooring combination. communications sign up online today. retailer to show you a larger sample of the product. withdraw products from our ranges. We hate to disappoint and will always try to work with you to find an alternative design that you love so much. 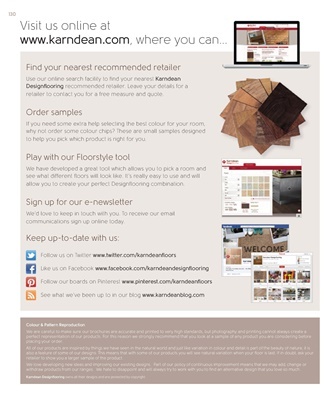 Karndean Designflooring owns all their designs and are protected by copyright.